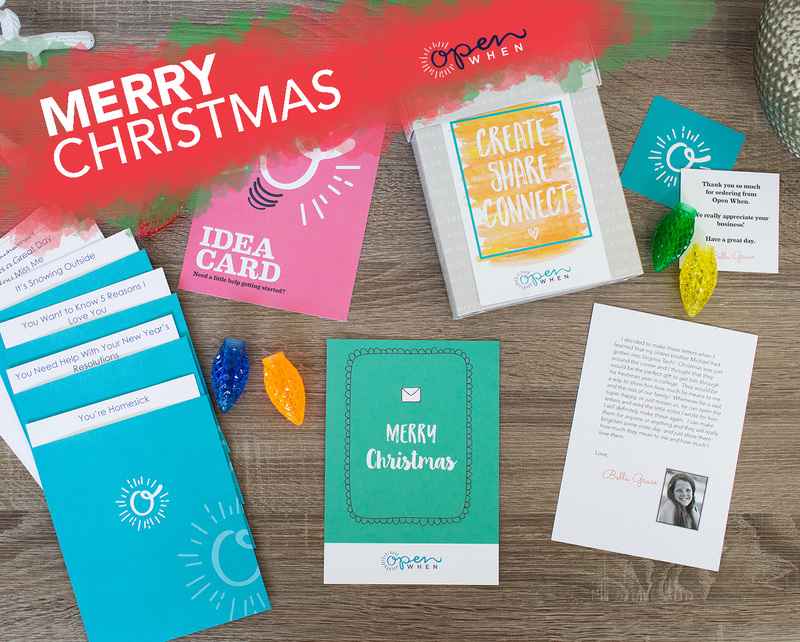 Merry Christmas Open When Letters – A Great Way to Stay Connected During the Holidays and 2018. Perfect for your family, wife, husband, girlfriend, boyfriend, daughter, son and friends. Long Distance Gift. Our Open When Christmas Box helps you stay connected to your loved ones during the rush of the holiday season – whether your separated by distance OR just busy lives! It is a great gift to make long distance seem right around the corner!